The last two weeks I spent designing a new set of cards. The theme is cute and sweet. Some of the cards were designed to celebrate a new baby arrival but of course Happy Birthday and Best Wishes cards are not missing. It is up to you for which occasion you decide to make your card. Most cards are suitable for various occasions. Just use a message outline sticker of your choice. The cards are designed in 3D decoupage style. They are not difficult to make. 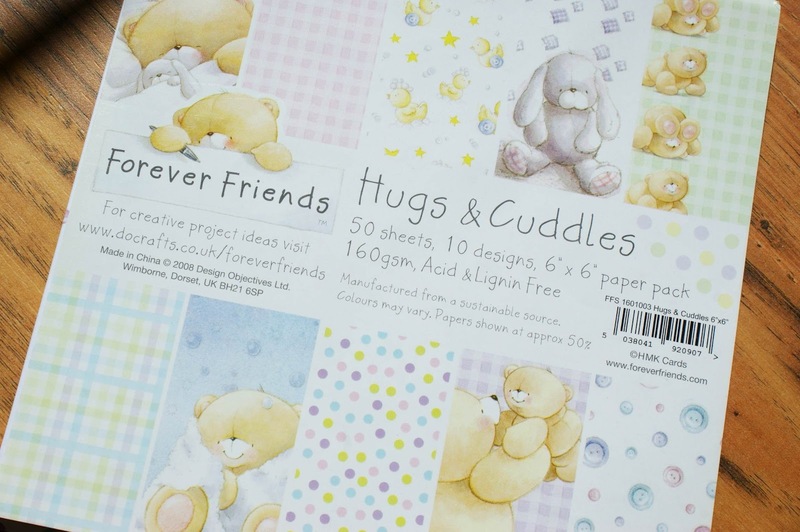 They will take a bit more time to make than if you buy the pre-cut decoupage sets but at least it will be more rewarding as your card will be original. 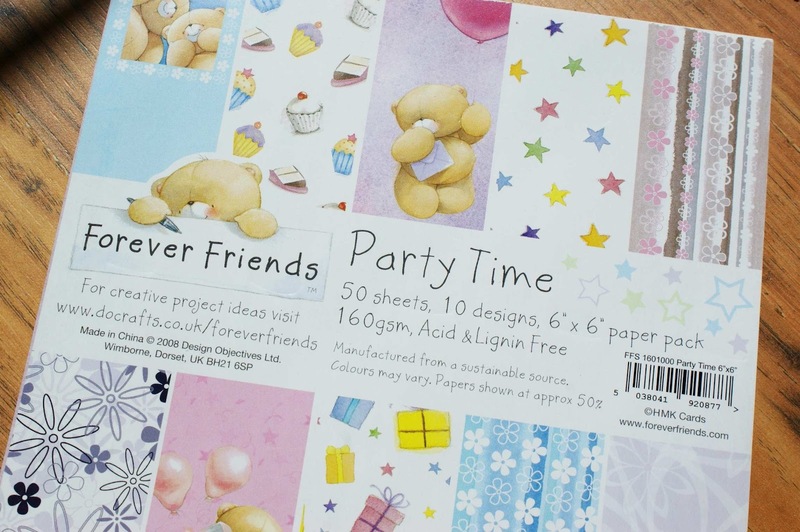 To make the cards I used Forever Friends "Hugs & Cuddles" and "Party Time" paper packs (6 x 6in). I purchased mine in Hobbycraft. I cannot find them on their website anymore so it is quite likely that they don't stock it anymore. 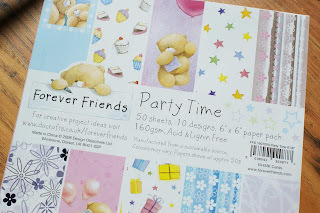 However if you would like to use the same paper packs you can buy them in Amazon (the link is supplied on my blog). 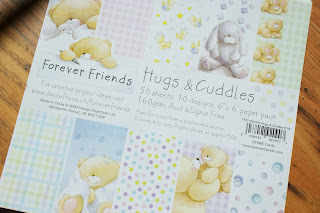 I will list all craft supplies needed for each card project as when the design is published.